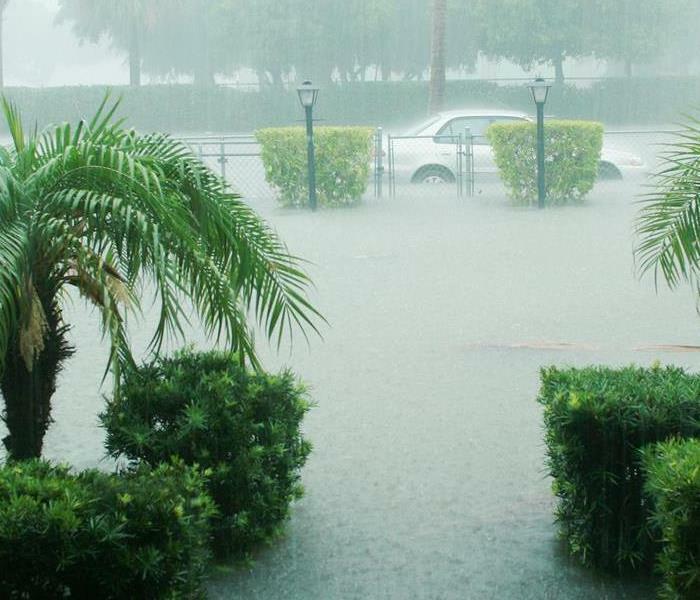 Storms and flooding are a common occurrence in Florida. SERVPRO of West Orange is on call 24/7 to restore your home. Florida is no stranger to structural damage from heavy rain. It can be quite the hassle, however, to come home from work and find that rain accumulation on the low spots of your roof caused an unsightly ceiling and wall leak in your bedroom. Not only is it almost impossible to mitigate damage on your own, but it takes a team of professionals to ensure the structural components of your home are thoroughly cleaned and dried to prevent mold, cupping, warping, and other issues that can lead to long-term problems. If you find weather-related flood damage in your Orlando residence, SERVPRO technicians are ready to come to you and restore your home to its pre-existing condition 24/7. Our certified, professionals have the tools and methods to clean, dry, and deodorize your residence after it has been affected by roof flooding. Our team can use a wide variety of water detection equipment to evaluate moisture levels both in the air and on surfaces and mitigate damage to structures as a result. SERVPRO utilizes moisture sensors to get a preliminary read on porous surfaces such as carpet. Infrared imaging and moisture meters are also used to get a read of moisture levels behind walls and on surfaces. After moving and preserving furniture and fixtures in your home, our team can get to work placing air movers and dehumidifiers in strategic locations to pull absorbed moisture out of surfaces and into the air, where they can be sucked up by a low grain refrigerant (LGR) dehumidifier. This machine works by passing moist air over refrigerated coils, and in the process collects and drains water, and expels dry air. This process can be aided by the setup of polyethylene partitions, which can accelerate drying. SERVPRO of West Orange is dedicated to providing the community with around-the-clock disaster cleanup you can count on to mitigate damage in your home. Call (407) 352-1569 today, and we can have a team ready to address your disaster within hours. When smoke and soot damage overwhelm your home, contact team SERVPRO for effective remediation efforts. Call us right away for best results. Orlando is a magical place for those who visit and those who choose to live there. Ideal for those running away from cold weather, it offers the benefits of a big city without the extreme hustle and bustle of places like Los Angeles or New York. Even though homeowners need to be vigilant during hurricane season, the area is not prone to devastating natural disasters regularly. However, Mother Nature is not the only one that can leave you in need of professional home restoration services. Accidents happen every day, and you never know when you may need to reach out for help. If your life is suddenly affected by fire damage to your Orlando home, SERVPRO is here to help. 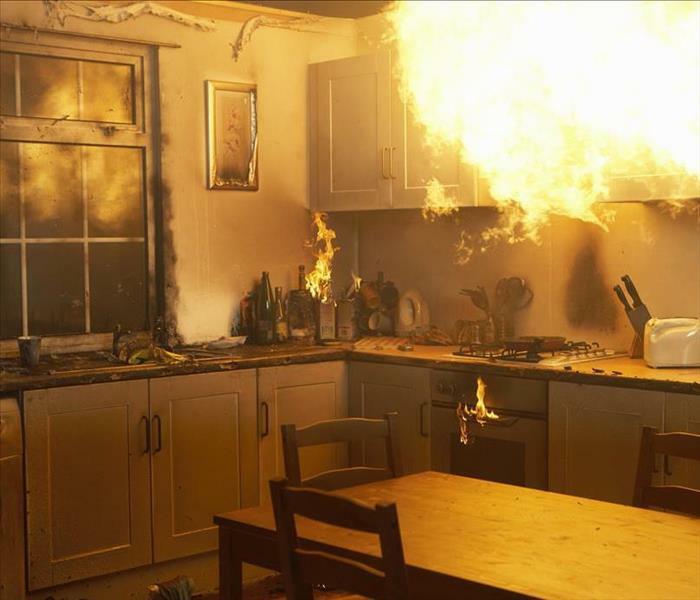 Something as simple as a kitchen fire can leave your home in disarray when you take into account the fire itself along with water damage caused by sprinklers and extinguishers. Our IICRC-certified staff is available 24/7 to take action and return your home to mint condition. Understanding the path of the fire and smoke is crucial in formulating an action plan. Knowing the telltale signs of damage helps our SERVPRO crew determine where to put their efforts to remove any remaining water and the placement of air movers and dehumidifiers. Tools such as hygrometers help us confirm when the air quality and moisture level of your home is back to normal. 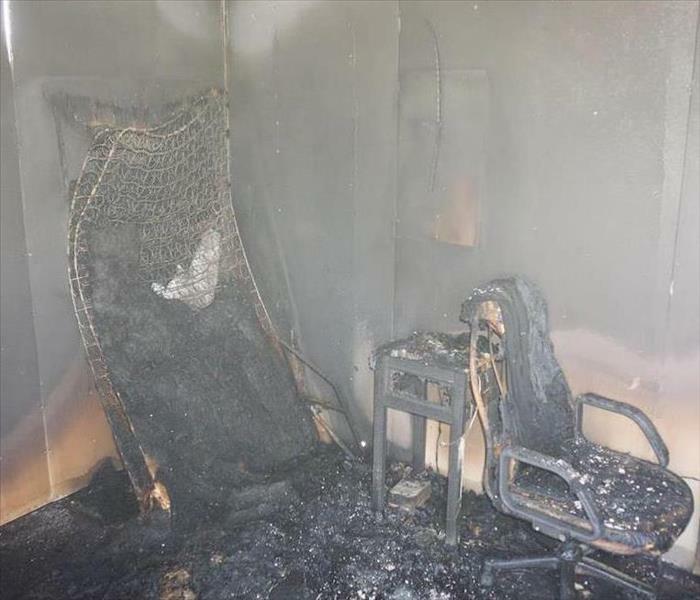 One of the most concerning issues after a fire is the smell left behind by the smoke. Our SERVPRO team applies industry best practices to remove soot and smoke residue from each surface and to eliminate the offending smell. For some jobs, it is sufficient to add deodorizing pellets, whereas for others an ozone generator helps us neutralize the smell. More often than not, we use a combination of techniques to achieve full success. Enjoy your life in Orlando and rest assured that SERVPRO of West Orange is by your side. By simply calling (407) 352-1569 you will find a whole team devoted to leaving your home "Like it never even happened." Click here for more information about Orlando. At SERVPRO, our goal is to return each pre-school and other area business to operational status as quickly as we can finish the task. With Orlando being halfway up the state and as far inland as possible, the damage from water incidents comes as often from plumbing failures as it does from the weather. Depending on the type of business affected, priorities can include removal, drying the facility, and reducing humidity. When commercial water damage happens to an Orlando pre-school, the manager’s main concern is the health of her young students. For SERVPRO, that means our restoration team has to ensure the facility is not just dry, but completely cleaned and physically safe before reopening its doors. Usually, a plumbing failure results in ‘clean’ water from the inlet pipe spilling out through a split line or a faulty overhead sprinkler. Even with this clean water, it quickly covers everything and can cause mold spores to expand and grow, looking for a food source like drywall. SERVPRO team members begin by turning off the water above the source of the leak or shutting off the water completely if necessary. Our specialists can make many minor repairs, but if there is a major plumbing issue, the team leader recommends the owner bring in a licensed plumber. Next, they remove any standing water using pumps and extractions devices to clear out the facility. Before the damp surfaces begin to dry, specialists spray each one with an anti-fungal agent to halt any mold growth and prevent other spores from expanding. If the water in the pre-school came from a backed up toilet, this is considered ‘gray’ or ‘black’ water, depending if there is human waste present. If there is, specialists begin by spraying an anti-bacterial agent over the water surface and on any item that might have been touched by the contaminated water. When removing this type of water, specialists pump it directly into the nearest sewer entrance, if available, or a tank truck for disposal at a water treatment plant. Once our team members clean the affected surfaces, they use air movers, fans, and dehumidifiers to return the pre-school to a dry, safe condition. Specialists would use the same equipment, regardless if the water were clean or contaminated. 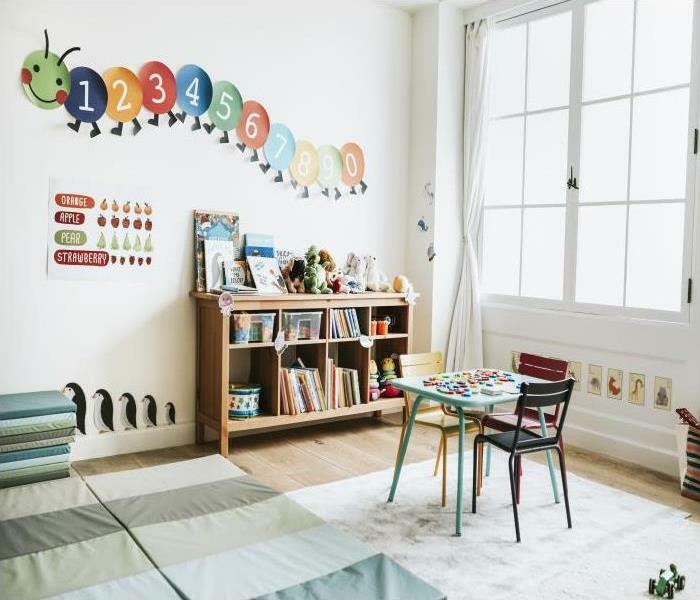 At SERVPRO of West Orange, our goal is to return each pre-school and other area business to operational status as quickly as we can finish the task. If this situation describes the current condition for your business, call us today at (407) 352-1569 to schedule an inspection. We are here for you. Click here for more about Orlando. Call our certified professionals to restore your home after a fire. We have the equipment to make your home livable again so you can rest easy. Not all fires that can affect your Orlando home come with widespread detrimental effects that make it impossible for homeowners and their families to remain. Even with smaller scale fires that can break out, there are still potentially problematic symptoms that can linger and make comfortable living a challenge for families. Odors can be a significant hurdle to overcome after a fire, and our professionals can help with effective tools and containment strategies to help you breathe easier. While many effects often come with small scale fire damage in your Orlando home, odors are often the most challenging to overcome because they tend to spread the farthest from the initial combustion site. Our SERVPRO professionals have effective containment strategies to help limit the spread of these noxious scents throughout the property, and we also have advanced deodorization tools to make short work of foul odor molecules. With the arrival of our team members to your address, we can assess the spread of foul odors throughout the property to gain the parameters for our containment strategies. With the use of physical plastic sheeting barriers and our advanced tools like the hydroxyl generator, we can begin to reduce the presence of harsh odors quickly. One hydroxyl generator can treat an area of several thousand cubic feet, helping us to make a difference in an affected area by fire damage fast. For more direct deodorization of affected areas, we can utilize equipment like our thermal fogger. This machine releases a dense chemical compound that is odorless. When this chemical comes into contact with harsh odor molecules, it breaks the molecule apart and neutralizes the smell. This approach is safe to use on soft materials like furniture, clothing, and carpeting. Odor removal can be an intricate process, especially in circumstances where tear out and reconstruction is not necessary. You can always depend on our SERVPRO of West Orange rapid response team to arrive quickly with the personnel and equipment to get rid of lingering odors fast. Give us a call anytime you need us at (407) 352-1569. Orlando has over 40 miles of bike trails and offers a combination of off-street paths, and asphalt and concrete sections click here for more information. Did you know that SERVPRO provides emergency board up and tarping services? With the severe weather that can affect your Orlando home throughout the year, homes have become more and more reinforced against the gale-force winds and potential hazards of these often intense events. Even with reinforced construction and precautions designed to help protect your home against severe weather events, there are variables like weakening trees that can pose the same level of risk. If a tree falls into your home, or large branch damages your roof, you can welcome detrimental effects like flooding into your property. Storm damage in Orlando can take many paths to lead to flood damage in your home. As challenging as flooding can be to clean up and remove from your home, professional restoration technicians like our SERVPRO team have efficient equipment and approaches to help this process go faster and prove more efficient overall. From extraction to high-efficiency drying solutions, we have the industry-leading equipment to make a difference quickly in your flooded home. With our licensed contractors, we can work quickly to provide emergency board up and tarping services to prevent further flooding to your home. These solutions can also come simultaneously with our other restoration technicians working on setting up the extraction equipment to remove standing water from affected areas of your home. Once the storm has passed, these same contractors can work to fully repair the damage to your home from the fallen tree, remove the tree and its remnants from your property, and assess the rest of the house for any storm damage. Cleaning up the flood damage inside begins with the extraction of standing water, but rests most heavily on the effective drying equipment that our technicians use. With a high volume of air movers, dehumidifiers, and specialty drying equipment, our SERVPRO team can effectively reduce all present moisture and saturation to prevent unnecessary tear out and reconstruction inside. Tree damage is more common than many area homeowners might believe. 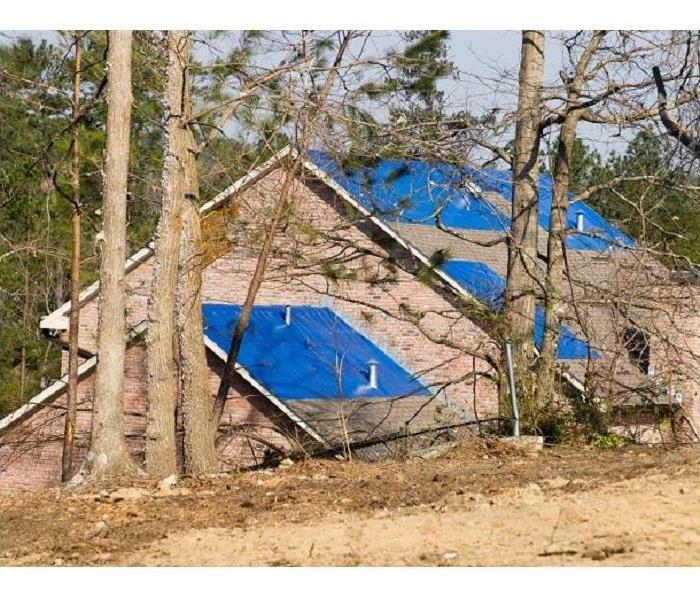 With the high winds expected in severe weather systems throughout the year, knowing whom to call in an emergency can save you time and money on the restoration. 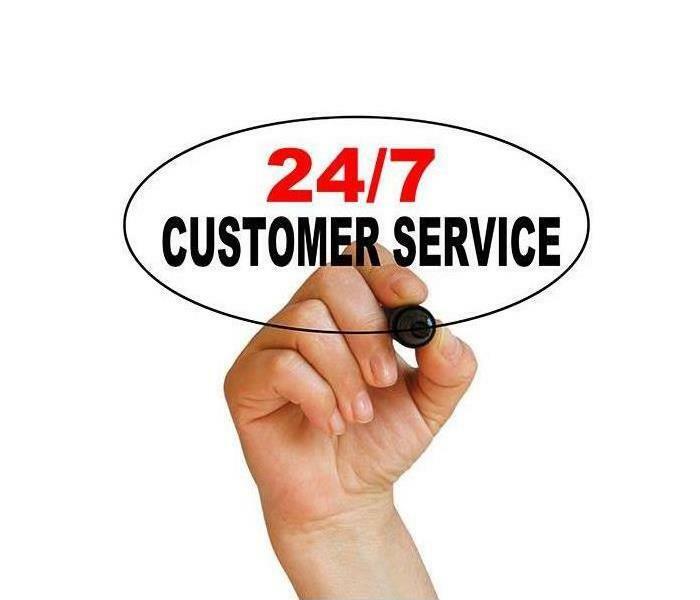 Give our SERVPRO of West Orange rapid response team a call 24/7 at (407) 352-1569. When Your Lake Buena Vista Outlet Store Experiences A Water Damage Disaster, You Need Help From The Experts At SERVPRO! You can reach our SERVPRO of West Orange rapid response team anytime by calling (407) 352-1569. With so many appealing attractions to the greater Lake Buena Vista area, including its proximity to both beaches and world-renowned entertainment venues, your outlet store is ideally placed to capitalize on the travelers and tourists constantly in the area. Whenever water loss incidents occur within your building, you cannot afford to shut your business down for long with the potential profits you would be missing out on, so make sure you reach out to our professionals right away. While water damage incidents in your Lake Buena Vista outlet store can happen from numerous sources, the bathroom areas of your business are often persistent threats for damage. From physical damage to fixtures that allow overflows to potential malfunctions of these same bathroom staples like the toilet or sink, water can pool quickly throughout this portion of your facility and quickly spread to affect adjacent spaces. Our SERVPRO professionals can respond to this emergency fast with mitigation strategies that protect your stock and work to limit the time that your doors have to remain closed to shoppers. The first step once our team arrives is assessing the damage as efficiently as possible. While our water restoration team arrives with a production vehicle stocked with extraction and drying equipment, we must determine what machines are necessary to maximize our effectiveness and get the job completed as fast as possible. With the assessment completed, we can set up air movers and dehumidifiers in vital areas of your shop to begin forcing moisture out of saturated elements and materials. With a fast response to your emergency, our SERVPRO professionals can often effectively preserve exposed materials to avoid reconstruction and costlier out-of-pocket expenses. While you want to remain available to the influx of shoppers that you can expect in the area all year round, addressing concerns in your shop like water loss incidents requires the expertise and experience of qualified professionals like ours. You can reach our SERVPRO of West Orange rapid response team anytime by calling (407) 352-1569. Click here for more about Lake Buena Vista. Delicate and unique items need a quick response when it comes to water damage. Contact our experienced team immediately if your space has an event. 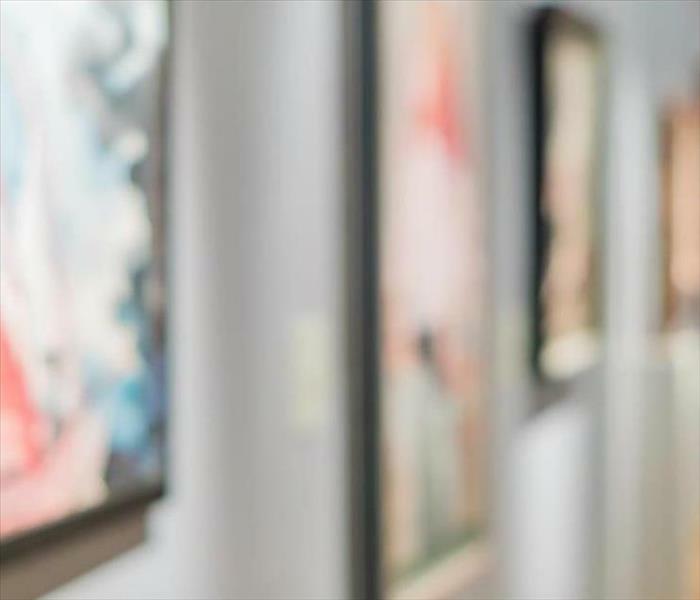 As a curator of art and history for travelers and residents of Orlando, you take great pride in the artifacts, works of art, and relics that you have acquired to fill the exhibits of your museum. As much public excitement as many of these items can devise, and how interest in your museum can help to fund further expeditions and excursions to better understand the past, you have a constant mindset to protect these items at all costs. With indoor plumbing piped to the facilities guests can use and work areas for your staff, it is important to have a plan in place to restore water loss incidents should they occur. You can neither predict nor completely remove the possibility of water damage occurring in your Orlando museum. The best that you can hope is to prepare yourself by knowing whom to call whenever these disasters occur. This choice should get based on who can arrive quickly, protect your investments and acquisitions, and get your doors open quickly again to the public. Our SERVPRO professionals can help. Our team has industry-leading equipment that can extract and dry even substantial water loss incidents quickly, which can help to avoid costly material replacement and reconstruction. Additionally, we have effective mitigation strategies that can work with your personnel of the museum to protect at-risk items in the damaged areas of your facility from suffering the devastating effects of moisture and saturation. Whether these items get carefully moved to another wing of the museum and out of harm’s way or to our nearby SERVPRO facility for focused and attentive drying efforts, we can ensure that these exhibits do not become irreparably damaged with our fast response and experience. Running a museum can be stressful enough without a persistent threat of damages and disasters. If you experience water damage in your facility, let our SERVPRO of West Orange rapid response team help to make it “Like it never even happened.” Give us a call today at (407) 352-1569. The aging windows in your home can cause both water damage and a mold infestation. Contact our team to assess and remediate today. Homeowners in Winter Garden put a significant amount of effort into maintaining their homes, both inside and outside. The condition of a house in the area becomes very obvious when something needs attention, due to the contrast involved between pristine areas and those needing attention. When your house in Winter Garden develops water damage, it can also create a musty odor. The visible signs and this new smell make it all that more important to start the mitigation process. 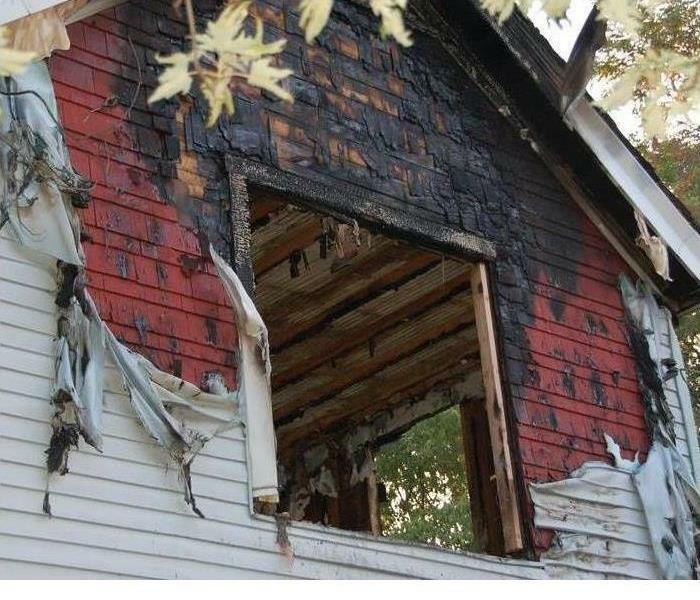 Preventing such damage is almost always possible, however, and SERVPRO's specialists can help you protect your home, saving your home from unnecessary problems. Water damage comes from different sources of moisture, elevated humidity, or lost and misplaced water. Correcting the situations that allow these to remain inside your home can stop water damage from ever occurring. Checking water feed lines to appliances and fixing leaky drains and other plumbing fixtures solve many of the most common problems. Other areas to look at in your home might require the help of a professional. Exhaust fans in your bathroom and over the stove need to work well so they can draw the steam out of your living area. A functioning fan protects one area of your house. The vent in these areas should be part of a continuous network that leads directly to the outside vent, without any breaks or extra lengths or unnecessary turns in the ducts between them. Breaks release moisture and extra bends in the ducts allow moisture to become trapped inside, where it can corrode the duct and cause holes. 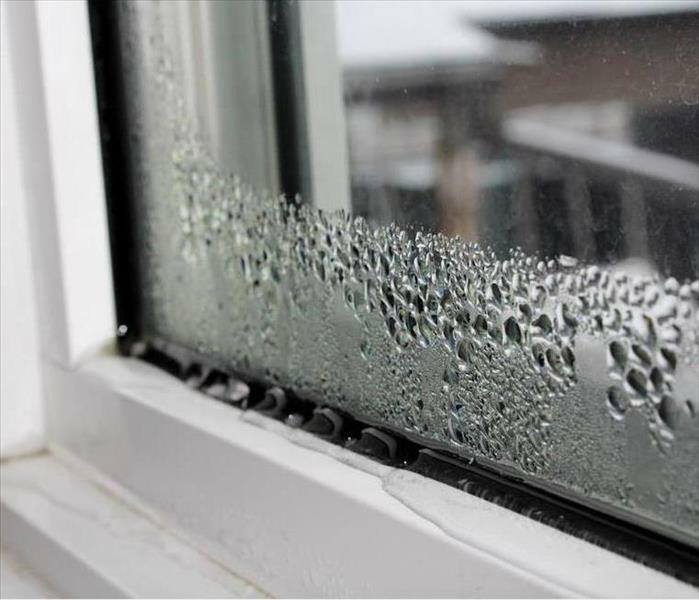 Leaky windows that let rain inside your home might go undetected if the water drains into the space between the exterior and the interior surfaces of the wall underneath the window. Situations like this are why we use our infrared thermal imaging devices. Hidden water like this shows a visible change on these cameras that cannot be seen by the naked eye and let us know, even after the rain stops pouring down, where such problems occur. SERVPRO of West Orange is always here for you when it comes to water damage mitigation and subsequent clean-up of your Oakland, Bay Hill, or Disney World-area home. Call us at (407) 352-1569 for assistance in both prevention and mitigation. Click here for more about Winter Garden. Much of the business that you get at your Lake Buena Vista hotel is from travelers headed to the greater Orlando area to appreciate exciting destinations like Disney World or Universal Studios. Considering that both of these premier amusement resorts are open all year long, you cannot afford a costly damaging disaster that prevents you from utilizing the full availability of your rooms. Also, a disaster like a mold growth could damage your established reputation on sites like Yelp, which can ultimately cost you future business. Remediation and restoration following mold damage in your Lake Buena Vista hotel revolve around a fast response to the situation. Often business owners do not realize that they have met the conditions for mold growth to occur until they get posed with a spreading colony. Our SERVPRO professionals can arrive quickly after you call to begin containment efforts to limit the spread of this organism while we establish a plan to remove all of the active colonization. 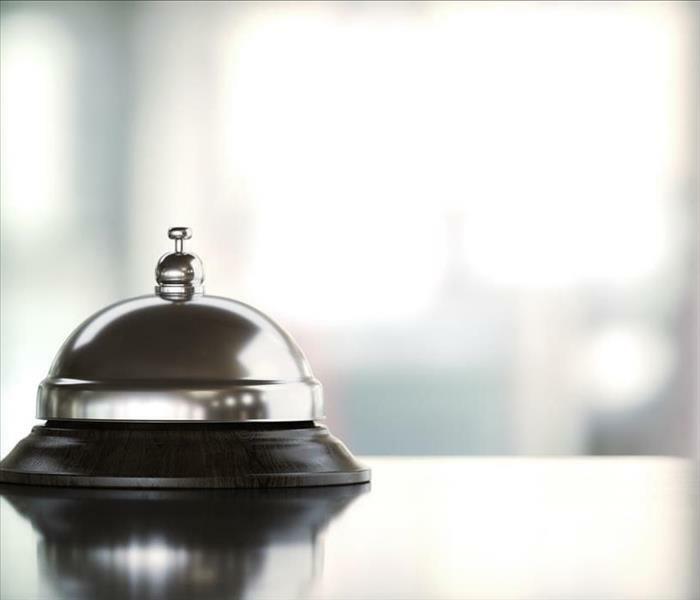 Depending on the location of mold growth in your hotel, you have to make certain that you have guests far removed from the potentially harmful effects that exposure can cause. Instead of attempting to remove active colonies on your own with your janitorial staff, you should trust in the experience and equipment that arrives with our SERVPRO rapid response team. Our objective with mold remediation is to provide efficient removal of the fungi and ensure that whatever moisture concerns existed that allowed the growth has also gotten remedied. We understand that most mold damaging conditions are localized and by cordoning off a small area we may minimize distuptions to your guests and to your occupancy number. The faster that you can handle this damaging incident in your hotel, the fewer areas and materials that become affected and the easier it becomes for our remediation technicians to resolve this situation quickly and preserve your reputation. With the high volume of travelers and tourists that frequent the area for its world-renowned amusement properties and entertainment venues, do not let a disaster like a mold growth keep you from profiting. Our SERVPRO of West Orange mold remediation specialists are available 24/7 at (407) 352-1569. Plenty of hotels at this famous vacation destination, click here. 3/4/2019 - When Your Lake Buena Vista Outlet Store Experiences A Water Damage Disaster, You Need Help From The Experts At SERVPRO!